How does an organisation achieve and maintain a competitive edge now and into the future? Business owners and directors everywhere have already reviewed costs, technology and staff incentives as a means to better their business performance. However, very few are harnessing the potential contribution of workplace design to their workplace strategy and bottom line. As the focus inevitably shifts to new areas to excel in, we predict decision makers will turn their attention towards the opportunities that are available through improved workplace dynamics. For those businesses that are truly exploring how to create a workplace of the future these Top 5 Design Trends should come into play. 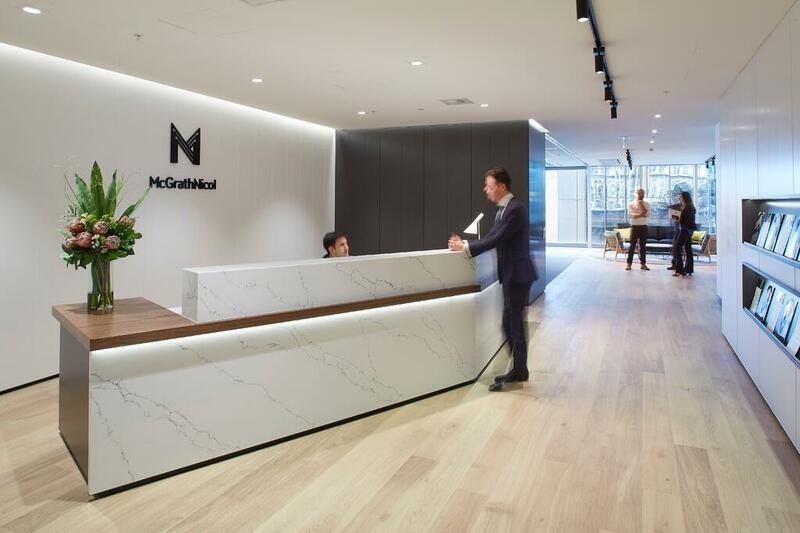 Bright colours, neutrals, stripped back beams, polished concrete and marble receptions… In this instance, it’s these trends of workplace design that we are referring to. They’ve all served their time as the “next big thing”, but each might be quickly discarded when the next ‘fashion’ arrives. Why? Because their actual impact on performance is minimal. 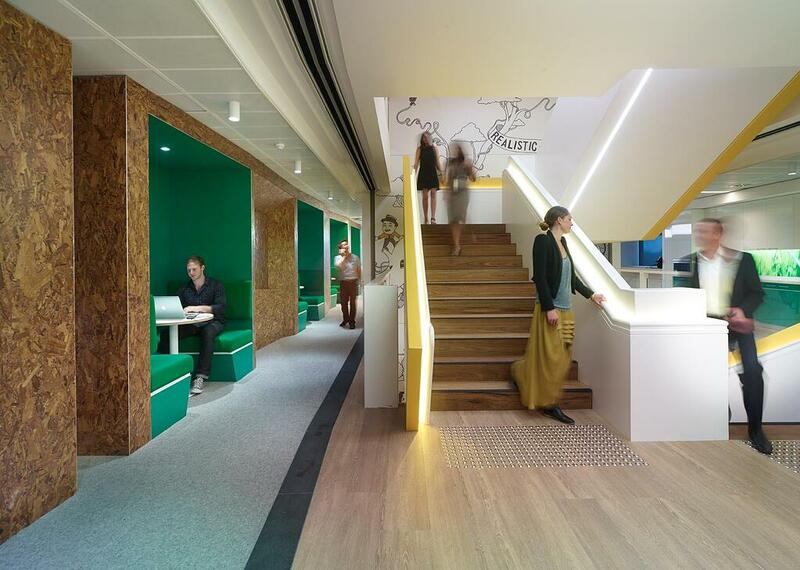 Aesthetically pleasing workplace designs are now considered “a given”. Instead, designers’ focus is shifting to high levels of personalisation. Rather than relying on seasonal colours or trendy furniture selections to carry a design, organisations now expect that designers will deeply involve themselves in capturing and understanding the DNA of the organisation. Then, starting with a blank canvas, design a workplace that translates their workstyles, strategies, business needs, culture and core values into a physical setting, regardless of the “trends” at the time. Critical to the success of such solutions is stakeholder engagement and change management. It is no longer sufficient for only one or two senior staff to be involved in the approval process with designers. Involving all levels of staff from supervisors, to mid-level, to administration recognises the importance of what each role brings to the company and what physical elements can contribute to employees performing at their best level. An opportunity for every employee to be involved in the envisioning and ownership of the process results in both strategy and the outcome being owned, appreciated and utilised as intended. Instead, as improvements in science and technology become more readily available, we now have tools that can directly measure the impact of these elements, the resultant organisational performance and the success of specific environmental changes. No longer simply designing through intuition and best practice, designers and architects will embrace the disciplines of Evidenced Based Design2. Expect to see designs premised on thorough environmental research, data capture and strategic initiatives to empower new behavioural changes. With technological advances designers will also have data available to determine if an organisation’s current workplace setup is the optimal use of space or if a new style or work or office design would be more appropriate. With the ability to review their employee’s movements, which is especially critical when many are remote workers or requesting flexible working schedules, designers will have numerical evidence as to why moving them to a more agile organisational philosophy such as desk sharing or Activity Based Working would be advantageous. Uber, Air B&B, AliBaba, GoGet, Spotify, the growing share economy and a subtle shift in social attitudes from ‘ownership to access’, are already beginning to impact the global perspective of workplace³. Co-working spaces are popping up all over the globe and their success is on the rise 4. Largely used by entrepreneurs, start-up companies and freelancers, their attributes may seem to be irrelevant to organisations which remain in more traditional working environments. Yet, co-working spaces have had success in creating collaborative environments and unique user experiences that big business has not. Understated flexible designs, a mixture of spaces and a relaxed culture encourage social interactions, connections and the sharing of ideas. 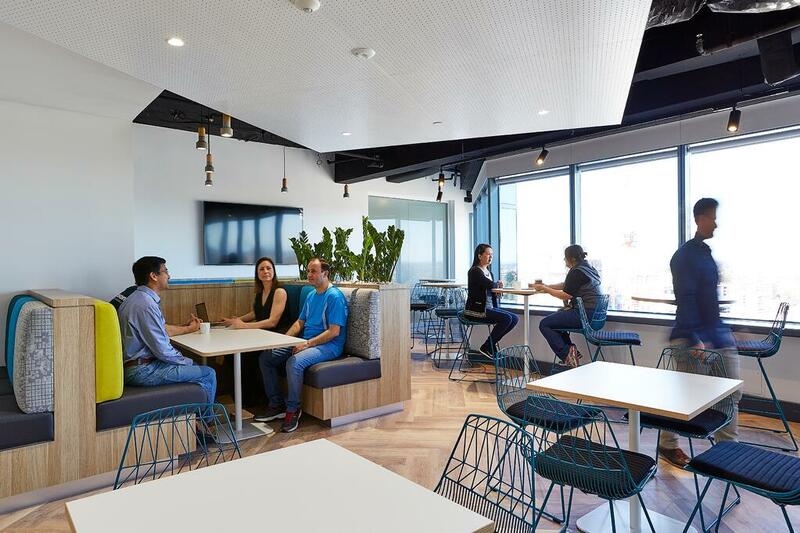 With agility and collaboration as keys to the success of businesses today, more large organisations are beginning to adopt the design elements of co-working spaces. 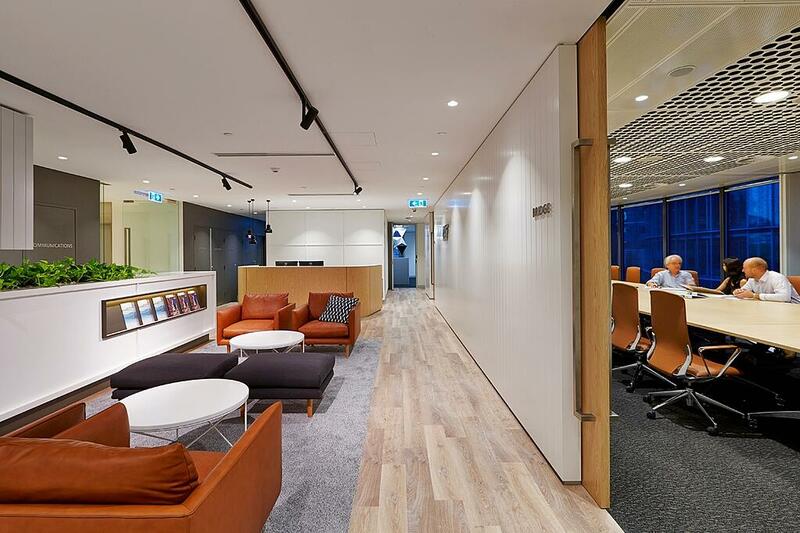 Some corporations with excess space are already taking this one step further, inviting complimentary or smaller organisations to use the space, creating a mini co-working space to stimulate fresh thinking, and as a bonus managing the cost of excess floor space. It could also be said that Activity Based Working (ABW) philosophy is a fallout of the share based economy. Gen-Y, who grew up sharing files and music, have launched themselves into the corporate world. 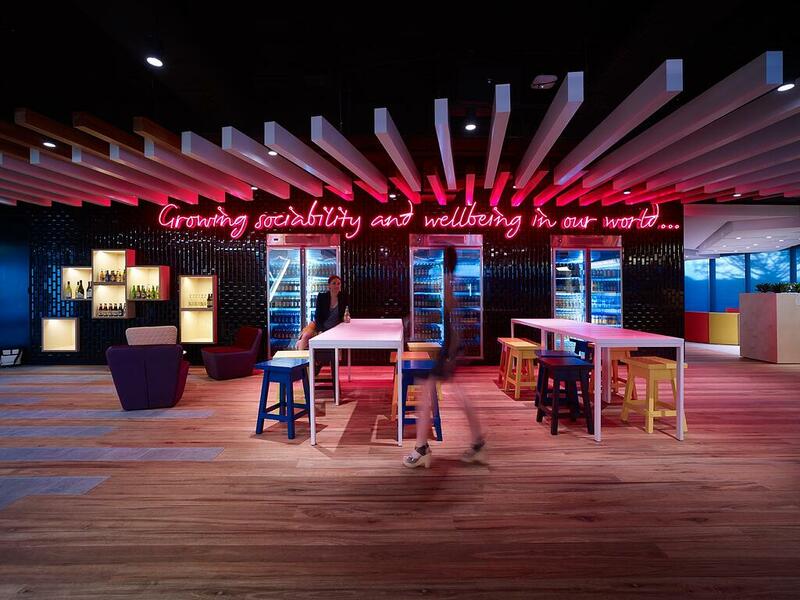 Coming from a university environment that encouraged movement and flexibility of spaces, Gen-Y are inspiring organisations to develop more flexible workstyles. 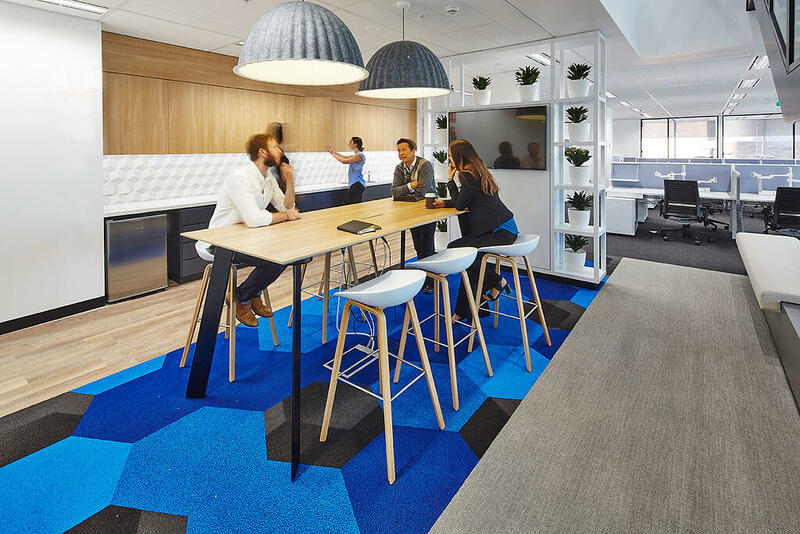 Within a fully ABW workplace, there is neither “desk ownership” nor underutilisation of resources and designers will be focusing more on work environments, rather than workstations. Not only are Gen-Y inspiring flexibility in terms of desk ownership, but they are demanding flexibility in terms of how, where and what their workspace looks like. Mobile technology is allowing employees to work from home, on the train or in a café. Yet the office remains the place where the business comes together to collaborate, socialise and connect. Comfortable with the freedom flexible working provides, there is growing demand for space flexibility in terms of the type of work setting available to employees 5. Instead of following a more traditional office design, including an open plan office, meeting rooms and a breakout area for meals, designers will work with organisations to develop a range of spaces that suit the day to day needs of employees, such that they can move fluidly between the variety of areas and readily seek out an area that will compliment their requirements on the day. Increased space flexibility is not only crucial to employee satisfaction and productivity but to organisational strategy and agility. 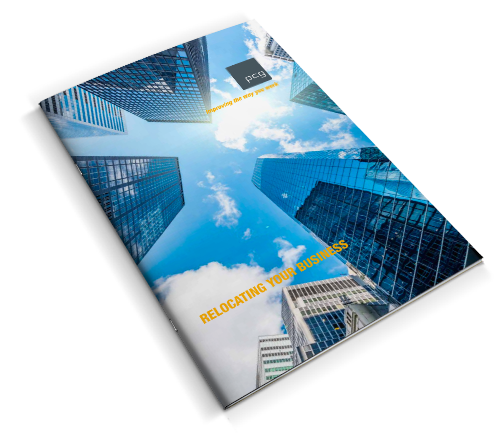 Rental space is at a premium and managers know the importance of flexible staffing and furniture in managing time critical events, including changes in strategy, staffing levels and business units. Office design will no longer focus on one final outcome, but on managing the possibility of several different outcomes. Branding has the power to create a consistent theme, attract and retain loyal customers and generate particular feelings and emotions towards a brand. Curiously, whilst much evidence exists for positive outcomes when directed at external customers, less emphasis has been spent directing similar efforts towards employees in fostering workplace culture and brand loyalty. As organisations seek to gain a competitive edge in attracting and retaining talent, we predict workplace branding will take on a new level of importance with design. Evolving from simply using brand colours and including generic “fun” and “collaborative” elements, (such as a brightly coloured breakout spaces and ping pong tables) to a more serious consideration of how design elements and aesthetics can bring their corporate strategy to life whilst creating a satisfying work environment for staff to connect in, perform in and be empowered within. We’re all craving the more “human experience” and an organisation who can provide this and successfully generate positive feelings via internal branding will be more likely to retain staff, lift engagement levels and achieve strategic goals. 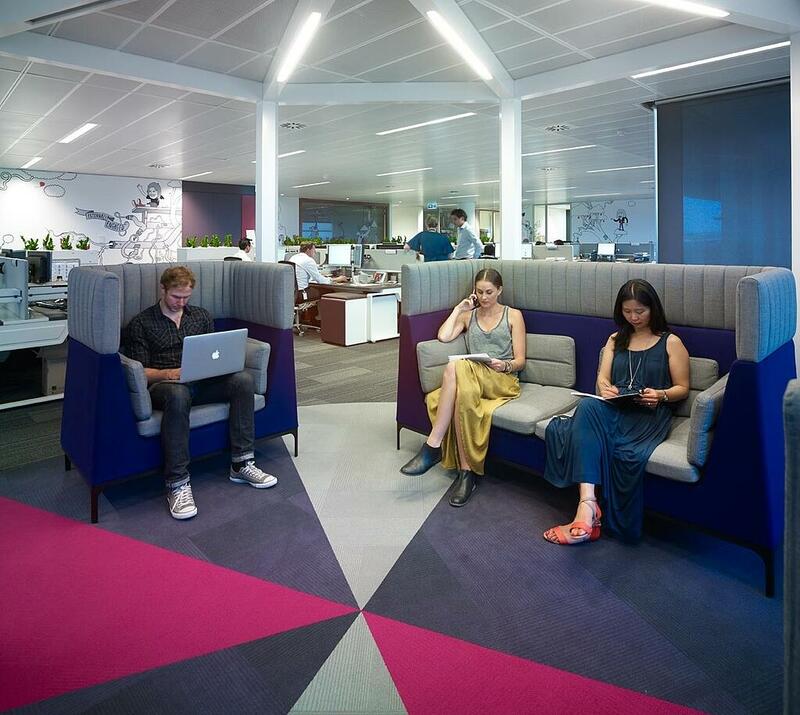 Evolving cultures and core values can also be supported by careful selection of workplace design. 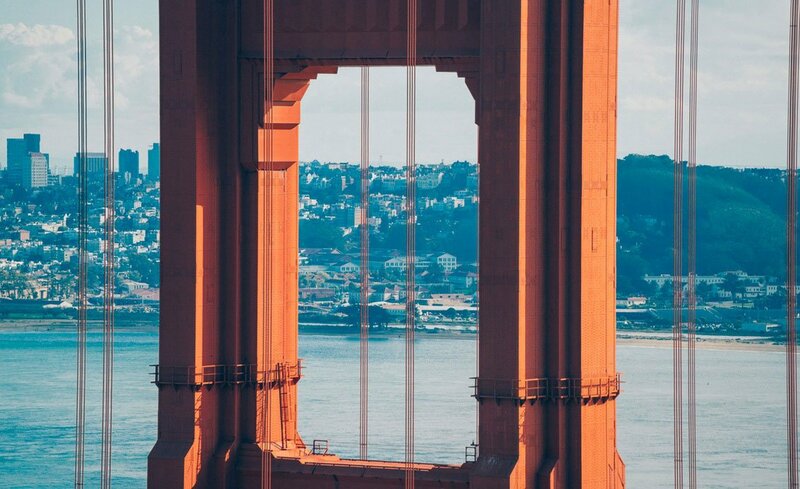 As hierarchical structures dissolve and organisations move towards cultural values including transparency, collaboration and connectivity, they find the older style workplaces of the past are holding them back. Corner offices, conventional meeting rooms, one size workstations are one step up from the cubicles of the past, yet are generic in design and can oversimply the needs of the business. A total rethink of space use and accommodation standards to better support teams is their endeavours is the future of workplace design. Designers will partner with organisations in reinforcing and facilitating their cultural aspirations through new and innovative workplace solutions. 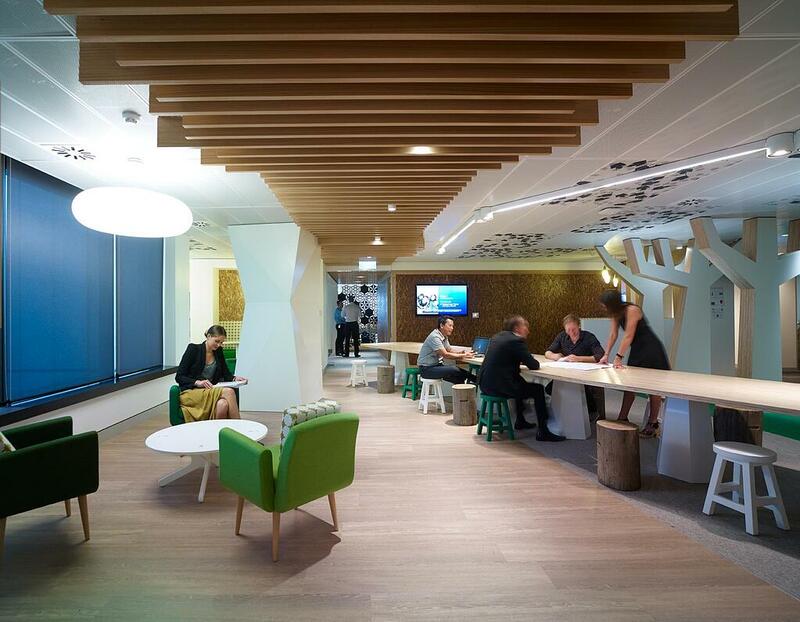 Workplace design is critical for staff performance. Find out if your current workplace is an asset or a liability. Take our six point fitness test to see if your workplace is compromising your performance. Download our whitepaper to find out.